A stand-alone comic adventure for younger readers by sublime storyteller Vivian French, with pictures by Marta Kissi, a talented new illustrator and animator. 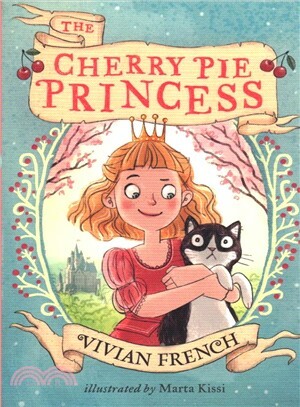 From Vivian French, the bestselling author of the Tiara Club series and The Adventures of Alfie Onion, comes a charming new comic fairy tale for junior readers. It's not much fun being a princess: you have to be prim, proper and obedient. Princess Peony lives in a world full of magical creatures - hags, trolls, giants and fairy godmothers - but her father's strict rules leave her feeling bored and lonely. She wants to learn how to DO things, and cooking's at the top of her list. But when Peony borrows a recipe book from the public library, the king has the old librarian who tried to help her arrested for "speaking out of turn". Can Peony stand up to her father and make things right? A funny and uplifting story, brought to life by Marta Kissi's warm and funny illustrations.